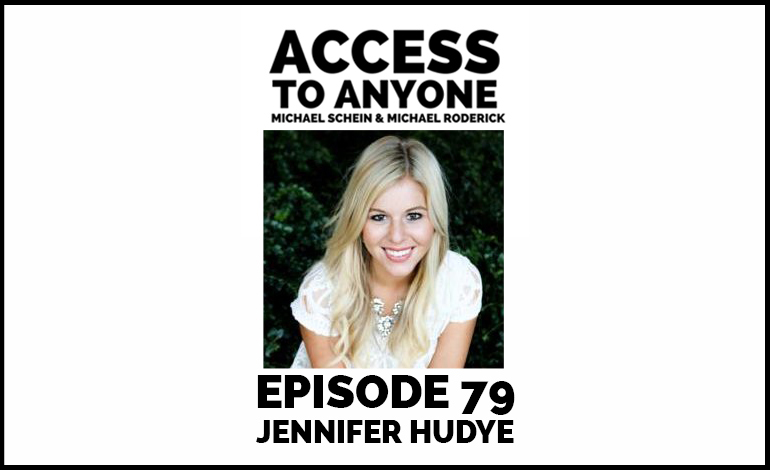 At the age of twenty-four, Jennifer Hudye has already cultivated a powerful network that includes everyone from celebrities to bestselling authors to billionaires. Today she spills her secrets. Jennifer also talks about how she built her booming digital marketing business, shows us how to push through rejection, and reveals why it’s crucial for everyone to honor their own path. Jennifer Hudye is a multi-passionate and purpose-driven entrepreneur. She is curious about a lot and always has been. She is in love with holistic health (high performance), people (marketing) and creation and innovation (entrepreneurship). Currently, her company Conscious Copy & Co helps online coaches and experts in the personal growth and health/wellness space build trust and attention with their prospects through email marketing.